Campaigning in Renuka and Nalagarh Bye-election has come to its last leg and heavy weights from both parties were busy to woo the voters for their support. Union Minister and Former Chief Minister Virbhadra Singh address Renuka Constituency voters and urged to vote for the Congress in bye-election. Virbhadra Singh blamed BJP Government for maladministration and accused its minister for promoting corruption in the State. He also condemns the BJP workers involvement in the case where police and congress workers caught them with undeclared cash and liquor. 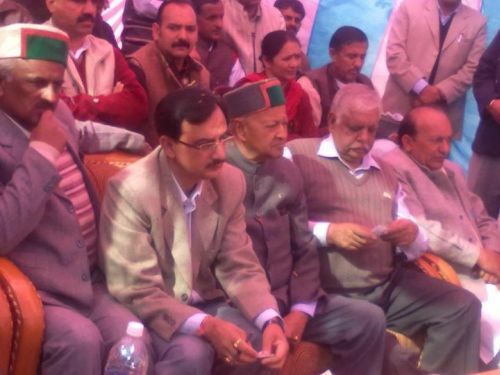 Virbhadra Singh said that Government has no rights to hold the office and advices them to stop misleading the innocent people of Himachal Pradesh. 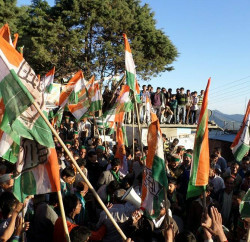 On the other side in Nalagarh Constituency other Congress leaders including Ajay Mahajan, Thakur Ram Lal and others were busy to woo the voters. 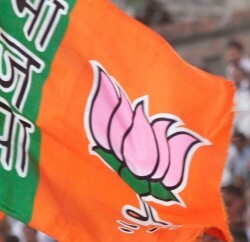 BJP workers also leave no stone unturned to tell the achievements of present Government to the people of Nalagarh and Renuka Constituency. 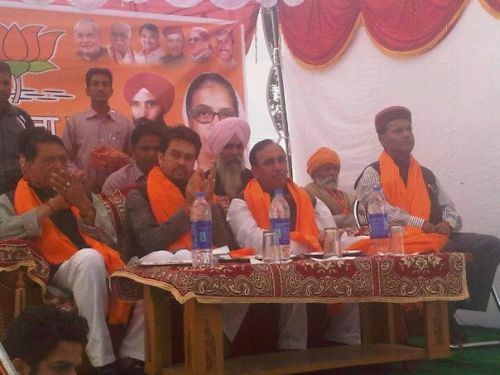 Anurag Thakur addressed the huge gathering at Nalagarh with Horticulture Minister Narinder Bragta. 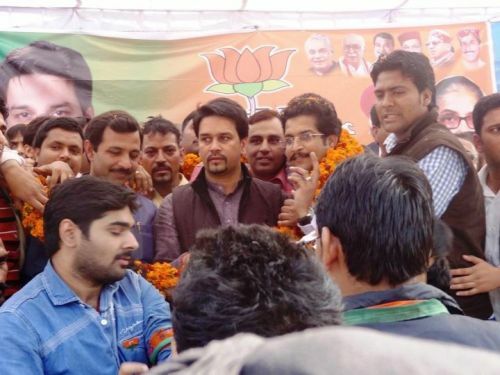 In his address, Anurag Thakur criticises Central Government decision to allow foreign direct investment (FDI) in retail sector and added that it will affect the youth of the country as it will lead to the unemployment. Narinder Bragta also condemns the Union Government decision to allow FDI in retail and also accused Manmohan Singh led Govt for promoting corruption in the Country. Bragta said that Commonwealth game and 2G scam is a live example of it where including Union Minister and other corporate honchos are behind the bar. In both constituencies Bye-election is schedule on 30th November, where 120253 electors will use their franchise.